This conversation, as part nine in our weekly Nashville Quilt Project round-up, features 15-year-old Oasis Center client Hozan. The Nashville Quilt Project is a 50-foot mural located on Charlotte Pike for which founders Jake and Hana Elliott, photographer Elizabeth Ratliff, and I partnered with four nonprofits to highlight their exceptional arts programming post-national budget cuts. Through the Oasis Center’s Teen Outreach Program, Hozan discovered the Underground Art Studio—a safe space for participants to tap into their creative energy through a variety of activities including painting, music, photography, and writing. 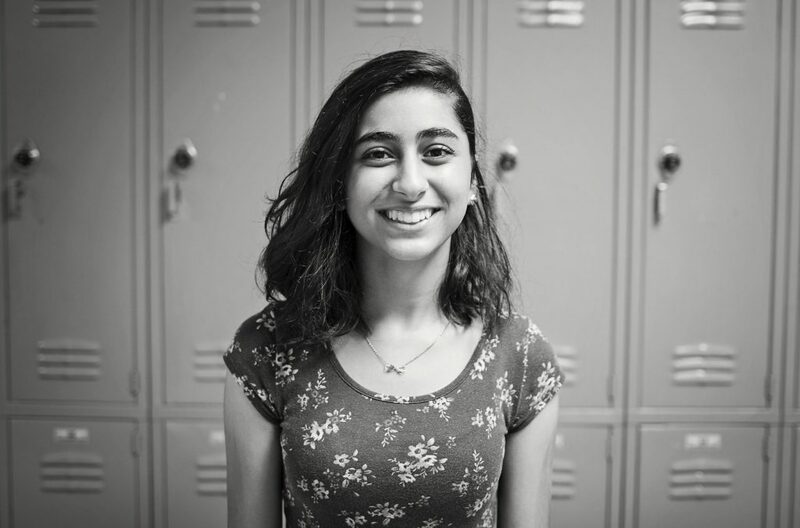 Originally from Kurdistan, Hozan dreams of being a doctor. She chose to participate in the Nashville Quilt Project because it empowered her to express her own artistic vision—which is oftentimes not the easiest to execute as she explains below. By pushing herself beyond her comfort zone, Hozan created a piece she didn’t think she was capable of. You love creating art. What are some of your favorite materials? Why did you choose to participate in the Nashville Quilt Project? Hozan: I liked the idea of being able to tap into my feelings and also show my appreciation for Nashville. The community that I live in is becoming increasingly diverse, which I really love. What were some of your favorite memories from this project? Hozan: Hanging around the other artists at the Oasis Center’s studio. And of course, being able to pass by the mural after I had completed my piece and go, “That’s my work!” I really did try my best and am happy how my piece turned out. Tell us about your piece and what it represents. Hozan: I painted a cage with a bird flying out of it. In my mind, that represents the importance of freedom. Hozan: Community means being surrounded by different kinds of people and having open, honest discussions. Throughout the Nashville Quilt Project, my friends and I painted side-by-side and were able to tell one another stories about our lives. It was fascinating to learn why the other artists chose their subjects, materials, and process. What was the hardest part about the Nashville Quilt Project? Hozan: I love art but don’t consider myself to be good at it. Also, oftentimes I know what I want to draw but don’t know how to get that vision onto paper or canvas, which frustrates me. What was the best part about the Nashville Quilt Project? Hozan: Creating something that I didn’t think I was capable of. To stand back and see my work was a really great feeling. And similarly, I loved looking at my friend’s pieces as well. Thank you so much for this opportunity. You’re welcome. Any last words for our readers? Hozan: Be yourself. That’s the most important thing in this world. At least to me.